What kind of king is Gilgamesh? Explain Gilgamesh's dreams on 579-80. Why does Enkidu fight Gilgamesh? Explain. Why do Enkidu and Gilgamesh fight Humbaba? Explain. Who is Shamash? Why does Gilgamesh offer him sacrifices? Why does Gilgamesh refuse Ishtar's offer of marriage (586)? Why do Enkidu and Gilgamesh kill the Bull of Heaven? What is the significance of his dream on page 588? Why do the animals run from Enkidu after he sleeps with the woman? How does Shamash help Gilgamesh and Enkidu kill Humbaba? Why doesn't Enkidu believe Humbaba's promises to Gilgamesh on 585? Who is Ishullanu? How does he respond to Ishtar's offer of love? Explain the curses Enkidu pronounces on 587. Why does he take them back? Why does Enkidu believe he will die in shame? What is the significance of Gilgamesh's wearing animal skins? Who is Utnapishtim? Why does Gilgamesh seek him? How does Utnapishtim's story compare to Noah's? What is Gilgamesh's first test? How does he do? Why? Where does he get the plant that restores youth? What happens to it? What is the final "moral" to this story? Does Gilgamesh ultimately find Consolation for his Grief? Explain. 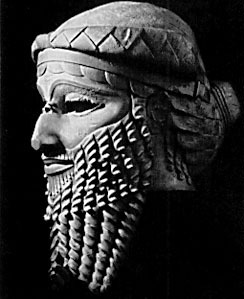 How would you characterize the relationship of humans to divine beings in The Epic of Gilgamesh? What characteristics are described as "god-like"? What qualities (if any) divide humans from gods and goddesses? Is an intermediate status possible, and what are its limits? Describe the relationships among the different gods. Do all the gods have equal power or is there some sort of hierarchy? Explain. One of the most intriguing characters in the Epic is the woman who causes Enkidu's transformation from natural man to civilized man. Describe this woman and suggest what her role might indicate about the process of becoming civilized, or the role of women in early Mesopotamian cultures? What clues does the Epic of Gilgamesh present about the political values of early Mesopotamian society? Is Gilgamesh a good king or a bad king? What qualities define good kings? Are those qualities learned as skills or life-lessons, or are they inherited or "natural" qualities? Describe the significance of the "raging bull" images and its different uses. To what characters or figures is it usually applied? What does it represent? Does Enkidu fulfill his original purpose? Explain.